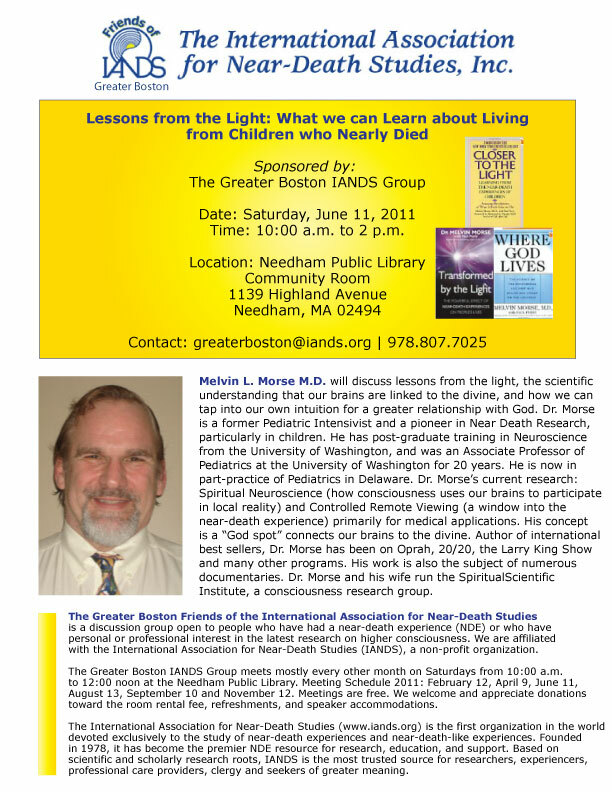 I will be talking with everyone all night long about near death experiences and whatever else comes to mind. Don't miss this! May 6, 2011: Science of Consciousness 2011 in Stockholm, Sweden Click here for more details. This will be an extended workshop, 4 wild and crazy hours of fun! And yes, I will teach everyone there how to remote view. November 4,5, 2011: International Society for the Study of Dissociation and Trauma. Montreal. I will be lecturing on the spiritual and benign aspects of dissociation.